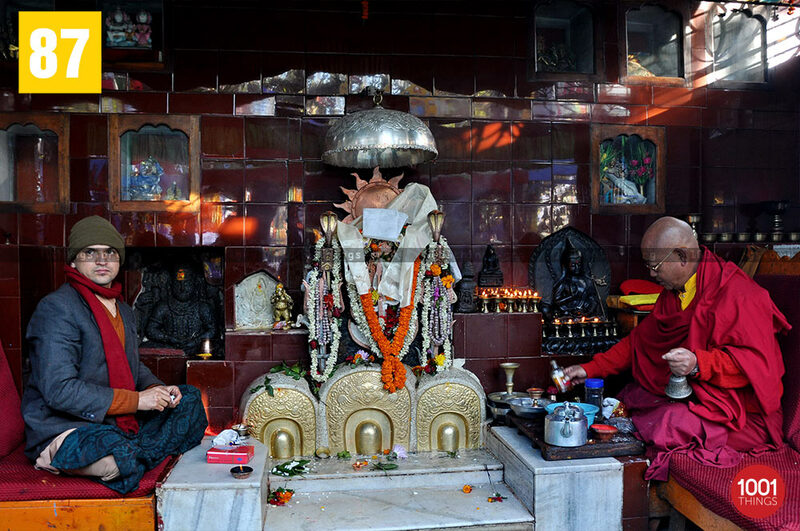 One of the highly revered temples in Darjeeling, Mahakal Mandir is dedicated to Lord Shiva. Among the locals, it is known as “Holy Hill”, and is only a few minutes of walk from Chowrasta. The temple is located at the top of the highest ridge of the town. The most interesting fact about the temple is that the altar is shared between Hindu priest and a Buddhist monk. This temple has religious significance to both Hindus and Buddhists living together in the area, and as such, the temple is a unique amalgamation of two different religions. Some say that the temple that is standing today was a home to a Buddhist monastery. There are other small temples dedicated to Kali, Durga, Ganesh, Hanuman around the temple. There is even a sacred cave that is worshipped by people. The walk for a traveler in this temple is stunning because you get to hear both the temple bells in the midst of the fluttering Buddhist flags, the combination which accentuates the serenity and divinity. It is said that the location at which the temple currently stands is where the Darjeeling civilization started. This was the area where people used to be concentrated, only later, when the population began to spread. 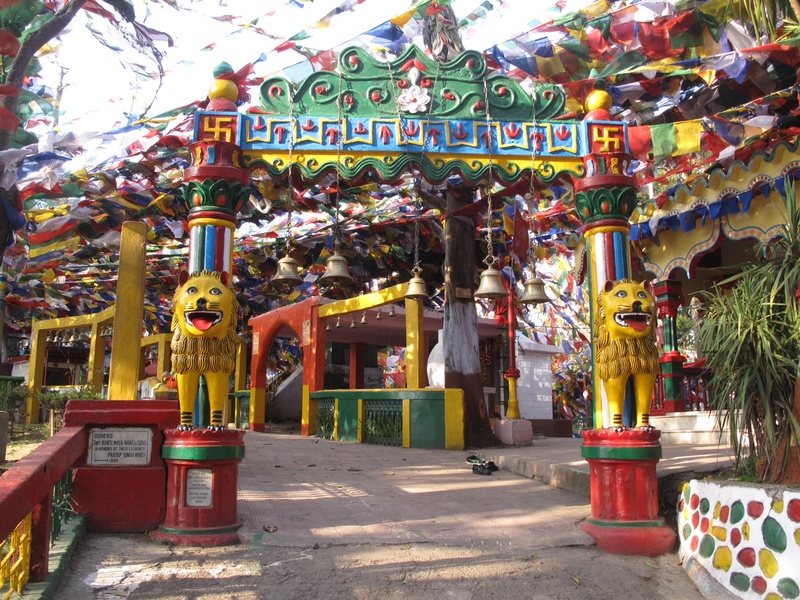 There is a myth that the place was under the rule of the kingdom of Sikkim and was home to the Buddhist monastery. The word Darjeeling is said to have been derived from the word “Dorje-Ling” or the Land of the Thunderbolt, a name given by the monks of the monastery. The current temple is in Hindu architecture. The temple is round in shape, with the Shiva Linga at the center. There are idols of Buddha along the Shiva-Linga too. At the entrance, there is a statue of Nandi, and at the main entrance, there are Hindu bells and Buddhist prayer flags lined up. The most important festival celebrated at this temple is the Shiva Ratri, which draws a lot of devotees to the place. Other festivals like Saraswathi Puja, Ganesh Puja, Hanuman Puja, Durga Matha Puja, Buddha Jayanti are also celebrated grandly. Also Read : Why We Should Not Fear Sade-Sati Dasha? This unification of Hindu and Buddhist temple is indeed a spiritual experience that one should delve at least once in life.